We live in an age where we are actively encouraged to pursue optimal health by efficient means. 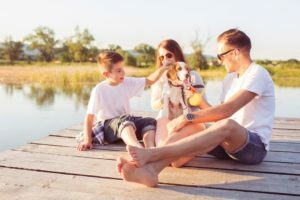 At some stage in this journey, we started the compromise of balanced diets for vitamin and mineral rich supplements – and now we’re starting along this path with our dogs. So, the question is, do our loyal four-legged friends actually need supplements or should we be investing more in balanced diets? Some supplements can provide your dog with a much-needed boost of a specific type of mineral or vitamin – if it has been identified as deficient. The addition of some supplements, however, can steer your dog’s health well off course if you’re wrong. For example, too much fat-soluble vitamins like Vitamin A,D, K and E are difficult to get rid off and in excessive amounts can cause toxicity. While, For example, too much Vitamin D can cause a build of calcium and can adversely affect the kidneys and heart, likewise too much vitamin E can impair blood clotting. Water soluble vitamins (such as C & B-Vitamins) are often considered harmless with the assumption being that your dog will urinate out the excess. 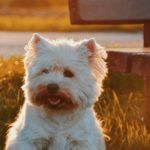 However too much can lead to harm, for example, Vitamin C has been linked with calcium oxalate crystals and stones (kidney stones) especially in certain breeds, like the miniature Schnauzer. Ultimately, supplements are no substitute for a balanced diet and owners should be mindful of the impact and the potential for harm. If you’re considering adding supplements to your dog’s diet, Dig-In recommend doing so under veterinary advice. With the above in mind you might be thinking, how is Dig-In different? Well, Dig-In is not a traditional supplement as such. 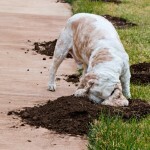 The goal at Dig-In has always been to promote your dog’s digestive health, we developed a formula that assists this process naturally using all natural ingredients. Our mantra is happiness is healthy and we’ve discovered that the key to health is a healthy digestive system – Healthy gut flora means a healthy dog. Supplements aim to take that journey further and under veterinary advice, they can be a great addition to your pet’s diet. But they’re generally only required when a deficiency has been identified and therein lies the danger. Generally, dogs that consume a well-balanced diet made from quality ingredients will not need supplements. Many quality dog foods often contain the proper amounts of vitamins and minerals. Adding Dig-In provides a tasty boost that drastically improves digestive health. 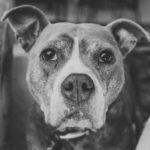 In terms of a human equivalent, it’s a kombucha, wheatgrass, kefir, spirulina and acidophilus smoothie – but dogs find it delicious and the benefits are quickly obvious. There are times when supplements may be necessary to help your dog. Your vet will be the best person to identify when these times will be and can provide the best advice. 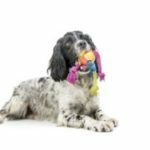 Identifying symptoms yourself can be risky and getting it wrong can have dire consequence for your pooch. Often a supplement will treat a symptom of a deficiency, so we recommend Dig-In as an ideal additive to assist a healthy digestive balance and increase your dog’s overall health and used on a regular basis will often eliminate the need for supplements. Easy to use, irresistible to dogs and with tonnes of health benefits from a shiny coat to alleviating itchiness and lethargy we urge you to try Dig-In before heading down the ‘supplement’ path.